The successful design is always related to the creation of an idea and finding the methodology for its further development. This is one of the main reasons why for us- the „TH Consulting” Ltd. landscape design specialists, it is essential to find out what exactly is each of our clients’ vision. Of course, if our team works on corporate projects, the landscape design department follows the exact assignment, according to each detail needed for the successful project development. The main purpose of each project is to illustrate and predict all existing and non-existing aspects that affect the quality and the economical construction of given sites, their safe operation, maintenance and long lasting effects. 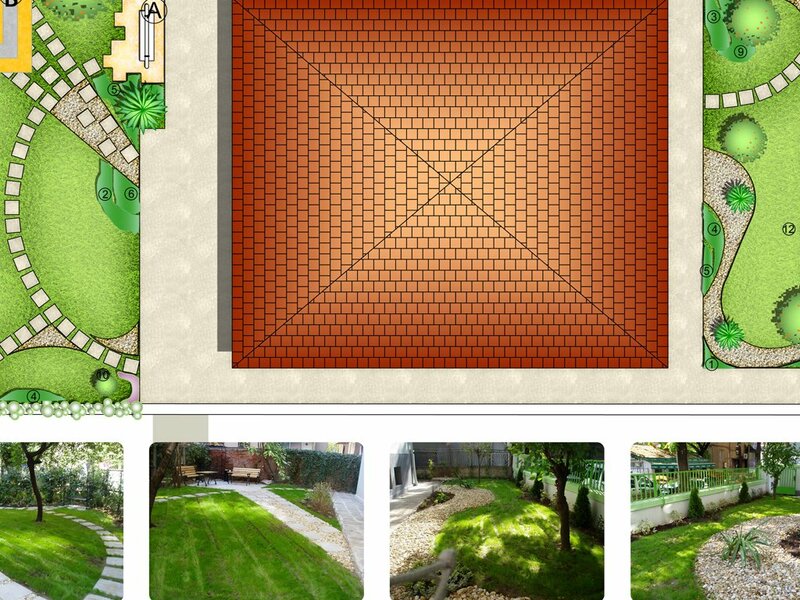 The initial construction is the first stage of the landscape designing. 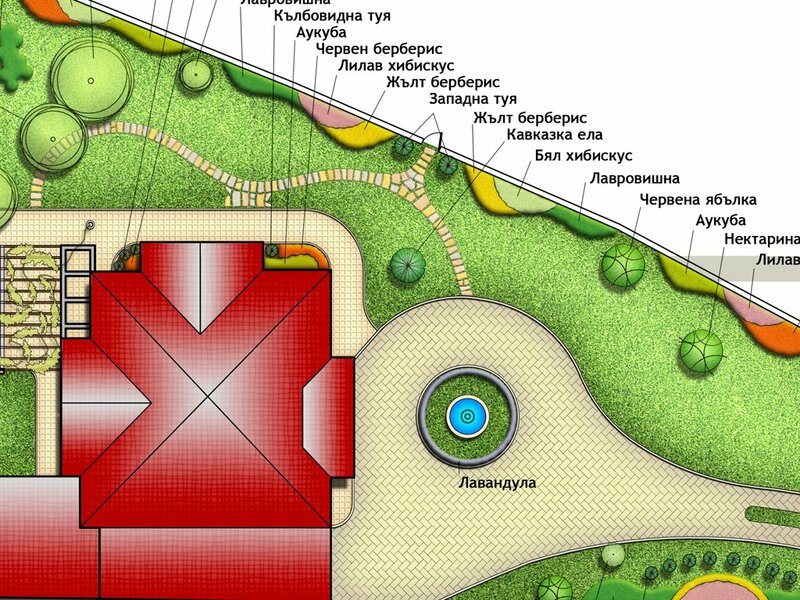 Every landscape design expert knows that the designing activities are not located on the computer screen only. It is very important to physically visit the site. That way the landscape design expert will gain better understanding of the surrounding environment, buildings, the plant species and their condition. An initial sketch of the site follows immediately after the physical visit of the lot. 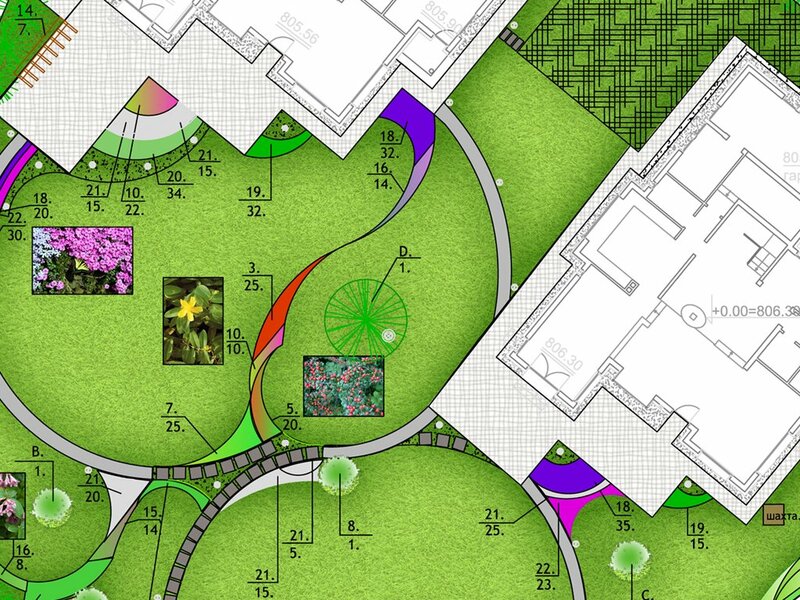 Based on it, the landscape design team logs a list of initial ideas for the overall look, as well as separate details and elements. Then follows a personal meeting with the client/investor, discussing the concept. We perform a detailed inspection of the lot during the time of which we measure the area surface that is meant for planting. We log each key aspect of it, including the position, the important distances, view, light, shadows, soil type, climate conditions and existing plant species. After this we create a list with the important factor that should be included in our project. 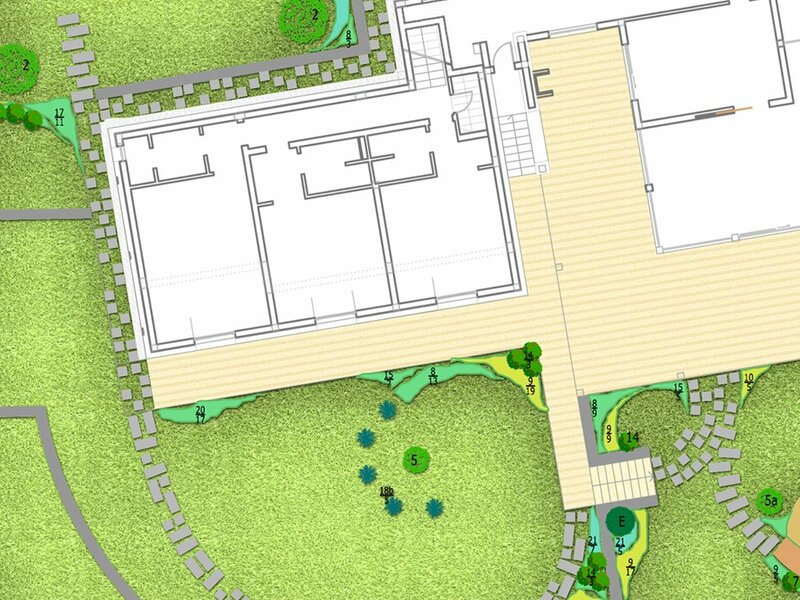 That way we guarantee that the designed green areas will correspond to the functional requirements, within budget and will satisfy the maximal standards for harmony of the green area. Sizing the pitch – before the detailed designing starts, all areas are being measured. This includes important architectural elements and distances from buildings and/or constructions with the relevant set of tools. The terms of reference shall be made in accordance with Article 132 of Regulation №4 covering the scope and contents of the investment project. Small architectural forms and garden sculptures. Our landscape design team develops a conceptual project based on specific requirements and related factors, mentioned above. This helps defining important criteria, budget and deadline for the project preparation and its implementation. A presentation of the proposed solutions for the project and a following discussion. Changes are made if necessary. Bill of Quantities (BoQ) of the landscaping and construction activities and works. * In the absence of a required preliminary plan of the Contracting Authority, the technical project must include the conceptual design solutions. 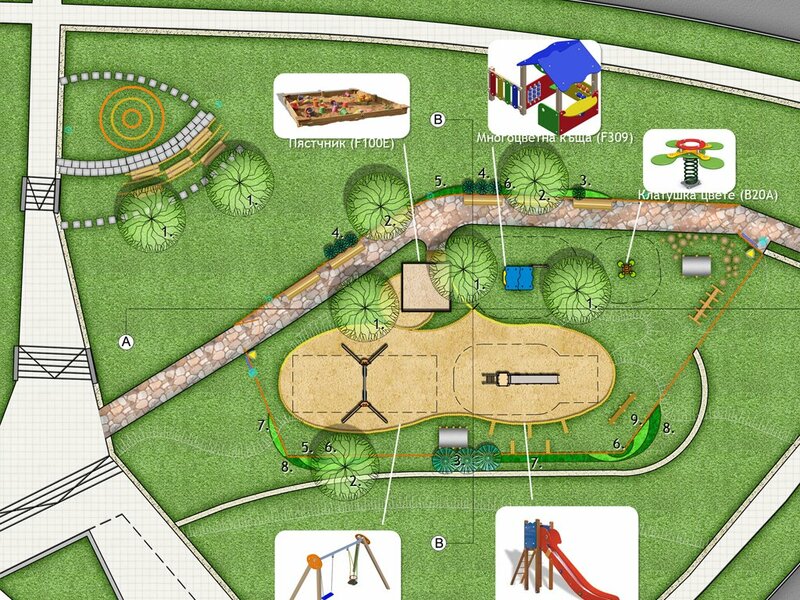 The Working project for the park management and amenity is developed based on already agreed conceptual design. The visualizations in the designing of the interior and exterior objects are not only an addition to an investment project. They are a necessity, because they give the opportunity to save significant resources and money as well as eliminating potential issues. As a professionals we cannot expect from our clients to know how the different plant species look like. This is the reason why the visualization helps, conveying the idea with the needed accuracy on the sketch. The decorative plans are the main living material of our choice. It has a significant importance for us and our clients. The quality and sustainability of the species is something which the company does not compromise with. We work with well-known and respected supplies of plants, which guarantees its sustainability and the normal growth of the plants. By using a quality varietal forms, our landscaping team is able to impart uniqueness to each site. We offer a wide variety of conifers and shrubs, broadleaf deciduous trees, evergreen trees and shrubs, ground-covering plants, annuals, bi-annual and multi-annual plants, ornamental grasses, vines, fruit trees and fruit bushes, water plants and all kinds of plants for interior design. It is very important to remember that all plants are living organisms and need a regular and quality care. That way they are able to save their decorative effect and growth. “TH Consulting” Ltd. can provide you with a professional care and maintenance for each type of green area. After a preliminary visit and measurements has been done by our specialists (flow, pressure, etc. 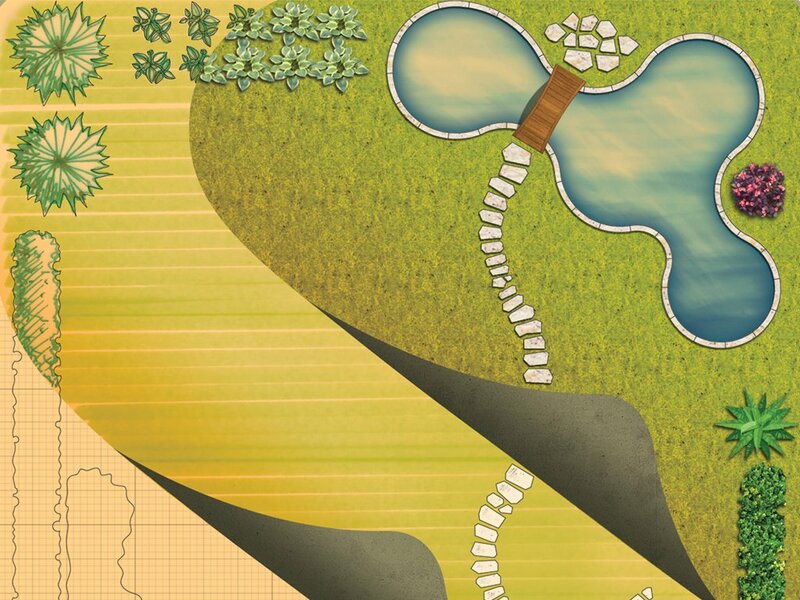 ), an irrigation design project is developed. 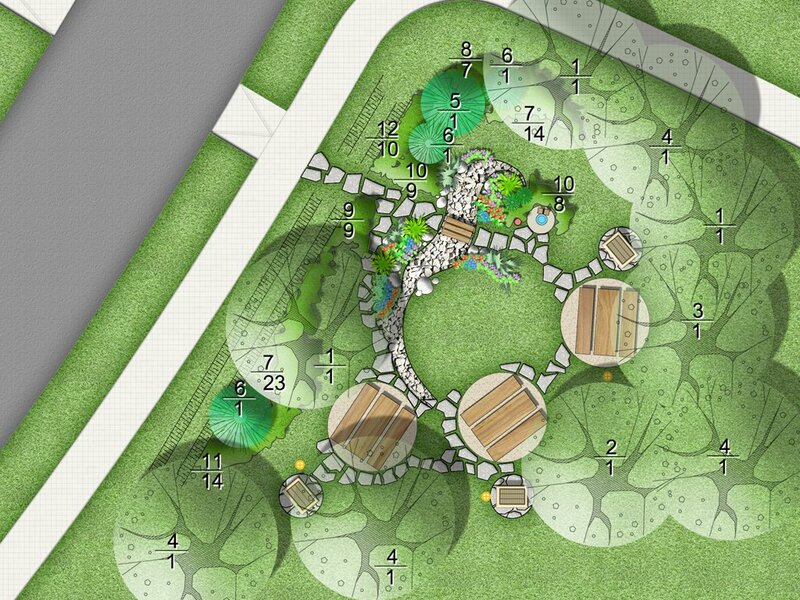 This project is developed after an approval of a landscape project with a situated plant species and vegetation. Bill of Quantity (BoQ) – specification of the materials. Based on the working project, a detailed Bill of Quantity is developed. This consists of information for the project execution and valuation for the implementation of the automated irrigation system. In “TH Consulting” Ltd. we call successful landscape design the achievement of continuity and unity between the architecture building and its surrounding environment. 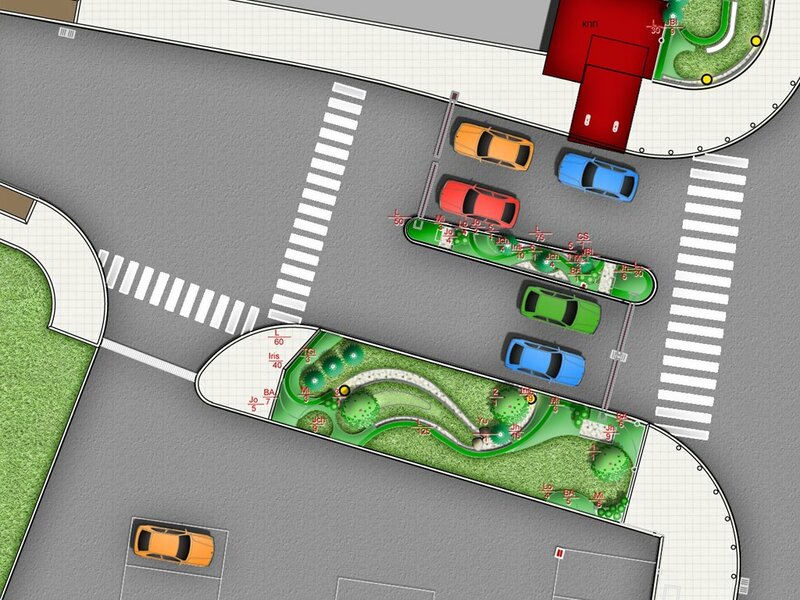 It gives the functionality of a green area and definitely attracts the customer as a participant, not just an observer. In our “TH Consulting” team work professionals – landscaping experts with vast experience, project and design capabilities. They are able to further improve the investor’s idea with their extensive experience and professionalism. The green area projecting is not a singular and separate process. It is the foundation of the planting process which includes a variety of activities.